Reconnectible voltage 208-200/460-3-60 for both single and dual speed hoists. Duty cycle: Single speed – 60 min. ; Dual speed – 30/10 min. 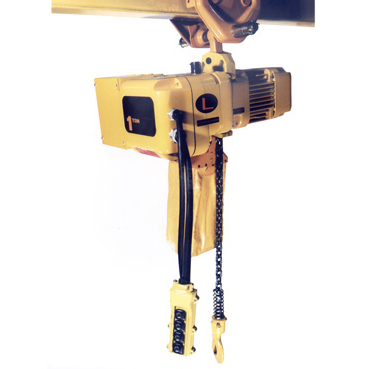 FOR A HIGH TECH MATERIAL HANDLING SOLUTION THAT IMPROVES SAFETY AND PRODUCTIVITY CHECK OUT OUR ELECTRIC CHAIN HOISTS. David Round’s electric chain hoist products are designed using the latest technology, resulting in high quality, low headroom, and full-featured hoists. Our electric chain hoists provide reliable daily performance in both routine and severe workplace environments. 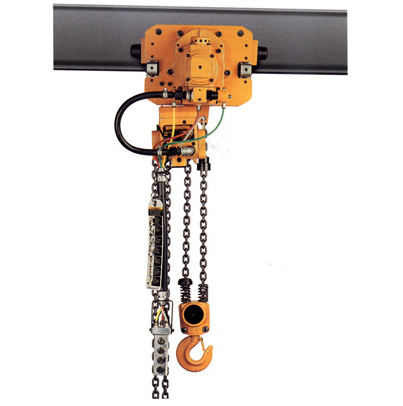 David Round’s electric chain hoist products are found throughout the manufacturing industry. We also specialize in custom hoist designs in order to meet your specific lifting needs. Explosion proof specifications don’t scare us. Many companies have come to David Round for their spark resistant or explosion proof hoisting needs. 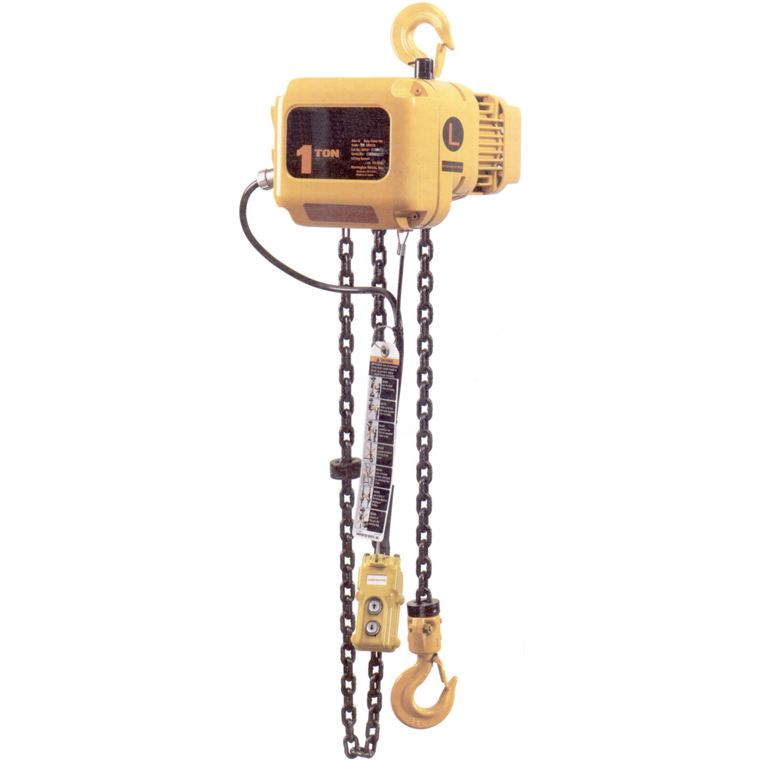 Check out our explosion proof chain hoist HERE. GET YOUR VERY OWN ELECTRIC CHAIN HOIST AND IMPROVE THE SAFETY AND ERGONOMICS FOR YOUR WORKFORCE. Most David Round products are available in Stainless Steel construction. Our Stainless Steel Electric Chain Hoist is perfect in cleanroom applications or in harsh environments. Please consult factory for availability.